KOMA STROM Busboard is a reliable bus board with an elegant black matte design and neon green status LED’s per rail. It includes jumpers for the CV/gate lines as well as the self-adhesive plastic standoffs. Includes a 34 cm connector cable to connect to the Strom active and passive modules. 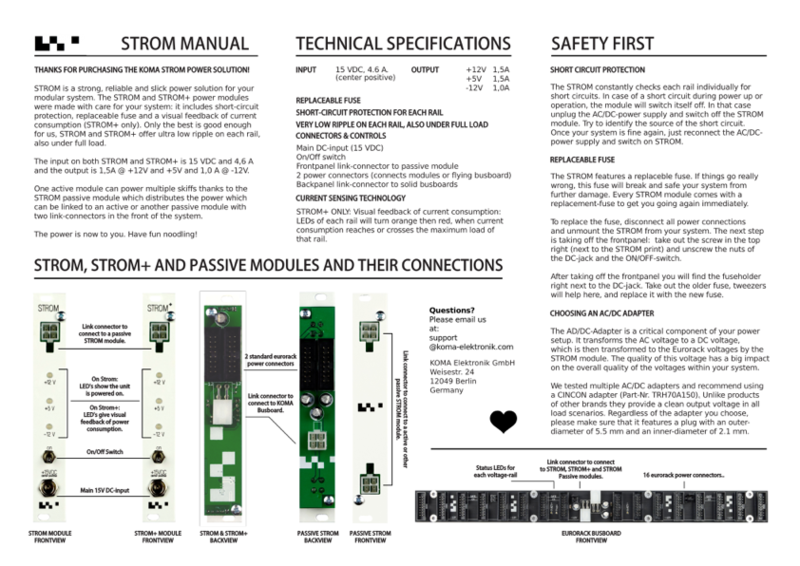 Read the Manual for the KOMA Elektronik STROM Power Solution.